WOO HOO! On the road I go. Packed my bags, bought some goodies, and gave my girlfriend a smooch before heading south to Little Rock. Already the mood is set when my friend Troy gave me a gift he’s had for several years. 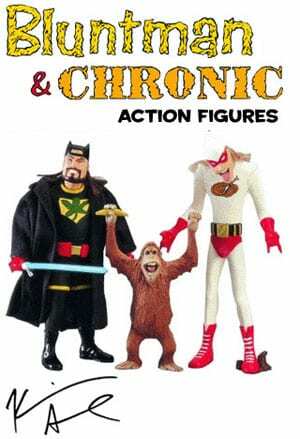 It’s a signed set of Bluntman and Chronic action figures. Signed by Kevin Smith and Jason Mewes. Snootchie Bootchies! So, my bags are packed, organized and computer and phone are charging. My friend Troy and I are a bit wired and decided to watch a documentary called “Starwoids.” Directed by Dennis Przywara in 2001 about Star Wars fans and how they waited in line for 42 some odd days for Star Wars: Episode I. We’re watching it because we’re meeting Dennis through a mutual high school friend. Dennis had Kevin Smith do the introduction…Smith being a big Star Wars geek himself. All hail the ORIGINAL trilogy. Not that “ring” crap (laugh). That’s all for now! Gotta go take a nap before getting up at 3:30. Hope you have a great trip!!! Sounds like you and Troy will have a blast. If you don’t mind me asking – who is the mutual high school friend that is introducing you to Dennis? Anyone I would know? 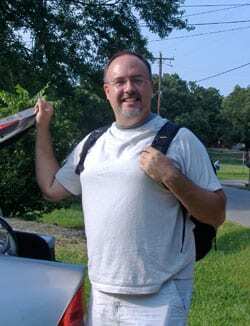 Will be moving back to NLR the beginning of next summer – not sure if it will be temp or perm right now. Jeff is retiring from the AF and will settle where he can find work then I will find my own niche’ in the workplace after that.